Thankfully it has to end sometime and midnight on the 31st December is when the excesses shall halt. The endless flow of wine and supply of chocolate will come to an end and we’ll gladly squeeze into our running gear and hit the roads and beaches on the 1st January 2011. There is a tradition in Ireland of opening the front door at midnight to see in the new year and out the old. In the hours that precede it we will have our last few treats for a while and I’m sure the art of cocktail making came into being as a way to empty the remnants of that creme de cassis, bacardi and vodka bottle. At what other time of year would cranberries be hanging around to embellish a Cosmopolitan? If you don’t like ribena then you won’t much fancy the taste of a Kir Royale and on that note it’s probably best to keep creme de cassis out of reach of kids who seem to love the taste of blackcurrants. 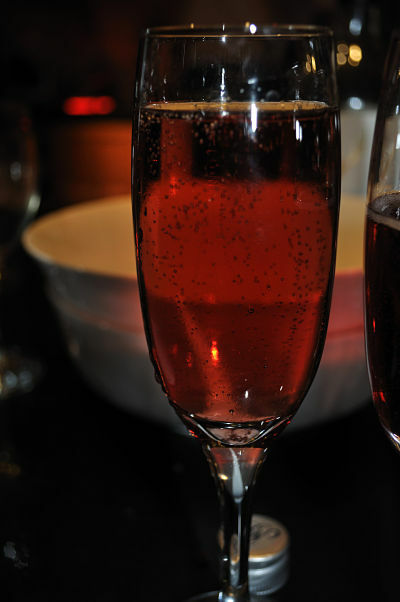 This cocktail is only a Kir Royale if champagne is being used to accompany the splash of creme de cassis. So, as in my case, if it’s pauper bubbles for you in the shape of prosecco, asti spumante, cava or one of the many other sparkling wines out there, then you’ll merely be sampling a Kir Petillant (bubbly or sparkling) and will have to drop the pretenses of Royale! 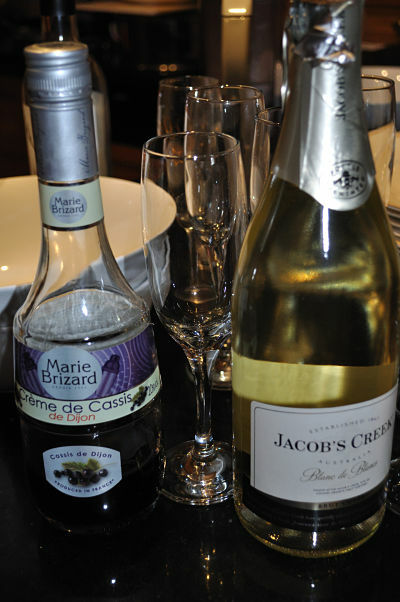 If you don’t fancy the fizz then simply savour a Kir which is made with creme de cassis and white wine. Whatever your tipple, have a great night and here’s to 2011. 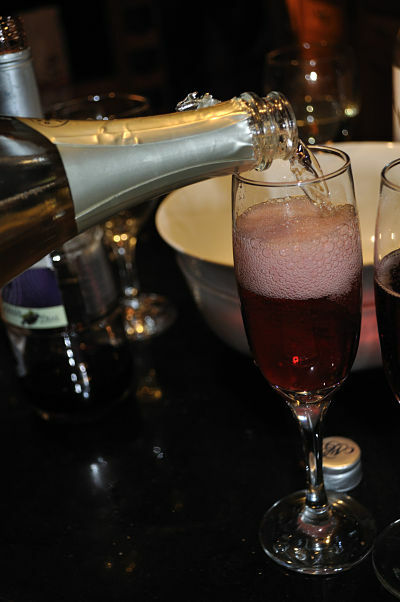 I adore Kir Royale and find it particularly befitting the New Year. I remember the tradition of opening the door from the years we lived in the UK, which nicely complemented my Danish husband’s tradition of jumping off a chair at midnight.